So I was working on this here essay a couple of weeks ago, but couldn’t find quotes about bringing back white men, which I read in a couple of African newspapers. 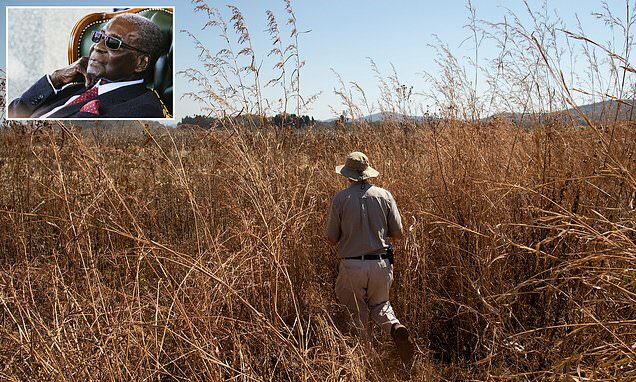 About 4,500 white farmers were evicted from their land under former president Mugabe's land reform 19 years ago. Their farms were then redistributed to around 300,000 black families. The government of Zimbabwe is paying compensation to white farmers. No doubt the terms are bad, and actually getting paid won’t be easy, but this is clearly an admission by blacks that white supremacy is the real deal! What if I told you that there is a way towards white supremacy that will make everyone happy? And not a Balkanization compromise type of thing either, but a return to the natural order; a resumption of human progress. We Leave the civil rights error behind us, and now exist in a post-patriarchal clown world. We have lived the before and after, we have seen it all! And not just us Nationalists; everyone has had their faces shoved in it. The nefarious Globo-Homo agenda has been implemented by Jewish supremacists. Many, many questions about what it would be like to live under the Jews have been answered. They have created a hell on earth; an unnatural hell. Racism is an unnatural term. If a white man observes that blacks are different from whites, he is labeled a racist, when in fact, whites are different from blacks whether observed or not, and apart from any mans opinions. Science tells us that the human races are different; this is Racial Realism. History reveals a line of progress by white men ended by Jewish rule; a story cut short. In fact, the patriarchy is what made all good things possible. Agreeing that the laws of nature, of science, also apply to humans, we find no reason that people the world over would be the same; especially when nothing else is, especially when a child or a dog can tell that there’s a difference. The Jewish reality doesn’t answer questions as much as it censors them. Everyone the world over is aware that things are not right. Racial Realism states that blacks need white men to command them; if they wish to improve their lot. Chinese need white men because only white men possess an imagination that goes all the way. We are not talking about a return to the past, but rather resuming the progress that has been halted, and conquering the future with a benevolent white patriarchy. The question then becomes ‘How do we convince non-whites to go along with a benevolent white patriarchy?’ Anti-Semitism. It is the Jewish control that has everybody angry. Blacks are angry their not smarter, women are angry they don’t have penises, and so on; all, by dastardly Jewish design. Science is on our side. Truth, natural law, common law, common sense, common decency; these are our weapons. Their weapons are institutional power; the power to make the vulnerable masses parrot lies. First, we can offer everyone an improved standard of living; a standard of living which can only be possible with white patriarchy. Then, we need a no-nonsense, no apology approach to discuss patriarchy and racial realism with non-whites. Yes, woman can fight in the army, but aren’t we all better off without that? You can put a snowplow on a Lamborghini but why would you? OK POC, show me the progress your people have made, because if you work for me, you will do much, much better! If we can remove the stigma of ‘Racism’, if we can undo the Jewish mind control, we can all profit. We can provide an improved existence for all races, a higher quality of life, but only with the benevolent white patriarchy!